By the middle of the twenty-first century, more than fifty per cent of the world's population will live in an urban environment. Most of this new urban growth will take place in Asia and Africa, yet most governments in these two continents seem woefully unprepared for the challenges they will face in providing their urban citizens with the basic services and security from poverty, environmental degradation and crime. It is in this context that in-depth studies which lay bare the contours and characteristics of society and institutions in the urban setting of Third World countries assume importance and urgency. Most studies on urbanisation in developing countries concentrate on slums and shanty towns in isolation from the rest of the society. 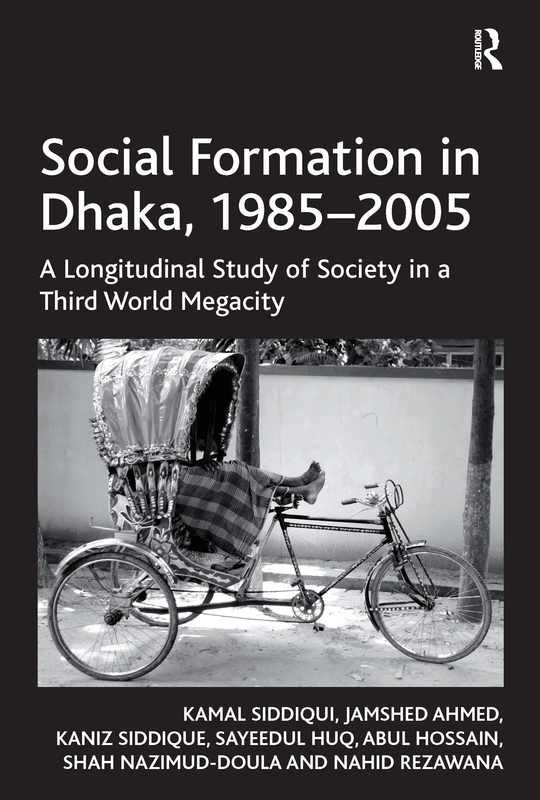 By contrast, Social Formation in Dhaka, 1985-2005 analyses urbanisation and urban society in a holistic manner, connecting the poor with the non-poor and delineating the change agents of the city. As the first longitudinal study of the social structure of any Third World Megacity, this book will be of interest to urban sociologists, policy-makers, NGOS, and researchers engaged in understanding the development in cities in the global south. Kamal Siddiqui is Associate Professor and Director of the Governance Programme at the University of South Pacific, Fiji. Jamshed Ahmed is Director of the National Institute of Local Government, Dhaka, Bangladesh. Kaniz Siddique is Professor of Economics at North-South University, Dhaka, Bangladesh. Sayeedul Huq is Director of the National Institute of Local Government, Dhaka, Bangladesh. Abul Hossain is Research Fellow at the Power and Participation Research Centre, Dhaka, Bangladesh. Shah Nazimud-Doula is Assistant Director of the National Institute of Local Government, Dhaka, Bangladesh and Nahid Rezawana is Lecturer in Geography, Dhaka University, Bangladesh.